Finding one beautifully detailed SCALLOP on the beach can set me off on a whole evening of combing the beach for just a few more special SCALLOPS with different patterns and designs. Dont get me wrong, I still like to see and find OLIVES, CONCHS and such. I found most of my treasures on Sanibel’s Gulfside City Park beach while stopping to giggle at the flocks of IBIS birds wading in the surf bobbing their heads while strutting along the water’s edge. 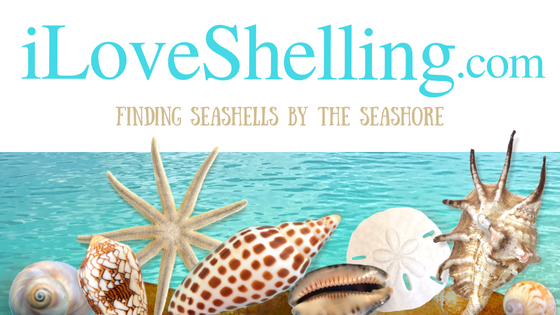 At the end of the day, collecting a few spectacsheller SCALLOP shells makes me smile and fills my happy beach heart every single time. Pam, you are my kind of sheller! I love scallops. There are so many different patterns on the shells. Of course, we always strive for the rare shells but I feel some of the most common can be just as rewarding! Thanks for this post it validates my philosophy. I love scallops! When I was a little girl my Grandmother would spend all day collecting them! I’m glad to see you post some photos of such colorful scallop shells. I’ve always loved the variety of colors and patterns one can find on a scallop and I’ve always felt like maybe some people overlook scallops because they’re so common. But to me, each one can be so unique! Thanks, Pam! That top photo would make a great print- just gorgeous! I agree with Mary Jo. You captured so many elements of Mother Nature and arranged them beautifully. I also can’t resist picking up an unusual color or pattern. Wow – So beautiful. My husband and I made our first trip to Captiva in Feb. Oh my heart YEARNS to come back. I can’t wait for our next trip there. I love all your posts. Thanks so much. I was about 10 years old when I first learned about shelling. It was at Orient Point in New York where my parent’s took all four of us kids for a beach vacation. There was a HUGH pile of scallop shells right by our cottage. I had a ball collecting them. Since then I have always loved the colorful scallops on Sanibel. So glad you did a story about them. I have always thought they were special. I love the scallops! It’s amazing howuch variety is in a single type of shell. shell tree with them starting with small at the top of my Styrofoam tree form ending with larger ones. Love it!!! You found some beautiful ones! I am just fascinated by the color variation. Why are the orange ones so much more rare?